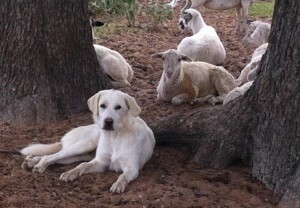 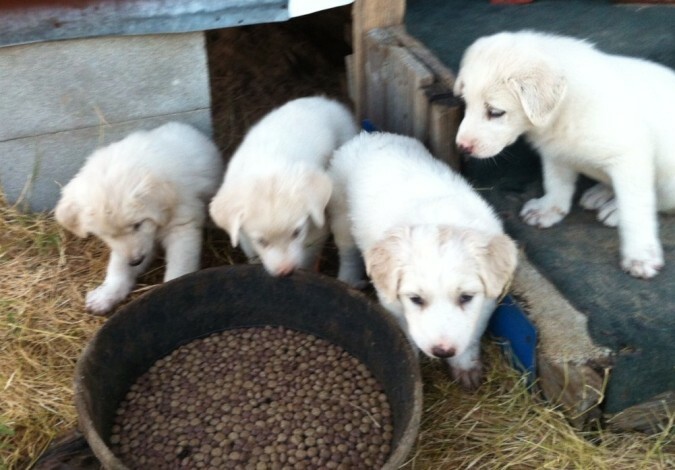 Caraway Farms’ Anatolian and Great Pyrenees guard dogs have always been a very necessary part of our sheep program. 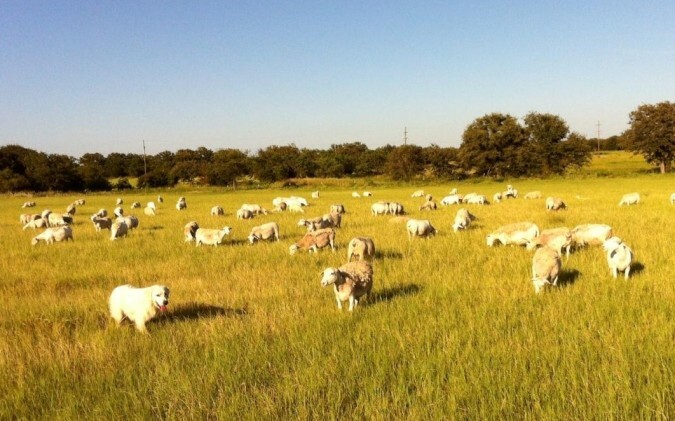 Our adult males and females, along with their weaned pups split up and stay with the sheep in various pastures night and day. Both coyotes (which are plentiful in our area) and the neighbor’s dogs can kill sheep quickly, but my sheep stay safe thanks to my faithful dogs.